10th Mountain Division veteran Robert Pinkham admires a selection of Indian Motorcycles in Eagle on August 2. 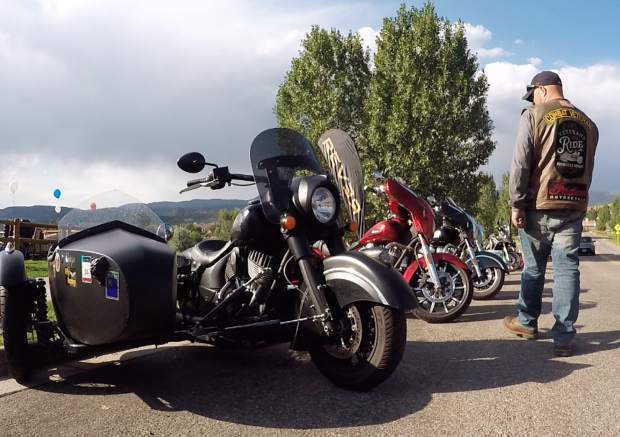 Indian Motorcycles helped Pinkham experience Colorado for the first time during the Veteran's Charity Ride. Former Army medic Robert Pinkham may have suffered a traumatic head injury while fighting in Iraq, but he’ll never forget the day he met Christopher Sitton. The two were stationed together in advanced individual training in Fort Drum, New York. Sitton was from Montrose and graduated from Montrose High School in 2003. 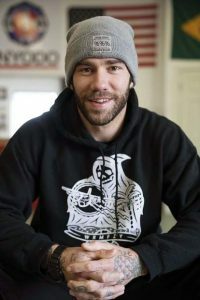 Sitton joined the 10th Mountain Division in 2004 and went on to fight in Afghanistan. “He paid the ultimate price on August 19, 2006,” Pinkham said. Pinkham has remained close with Sitton’s family ever since, but had never been to Colorado until earlier this month. 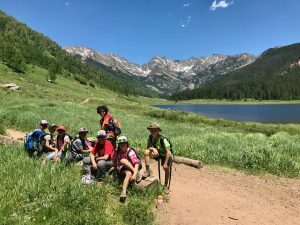 Sitton used to share stories with Pinkham about the 10th Mountain Division’s legacy in Colorado. Pinkham was afforded the opportunity to visit Colorado through Indian Motorcycles and the Veterans Charity Ride, where wounded and amputee veterans ride from Los Angeles to the bike rally in Sturgis, South Dakota. Pinkham got to ride a 2016 Indian Roadmaster with a champion side car. “It’s just an amazing, amazing machine,” Pinkham said. “Along the way Indian Dave met a fellow paratrooper from his same unit and they quickly became friends. They talked about fellow veterans that were returning from Iraq and Afghanistan and how so many are having a difficult time adjusting to civilian life after their war experiences. “Dave then contacted his business partner Robert Manciero, an Emmy Award winning producer and director and told him his ideas. 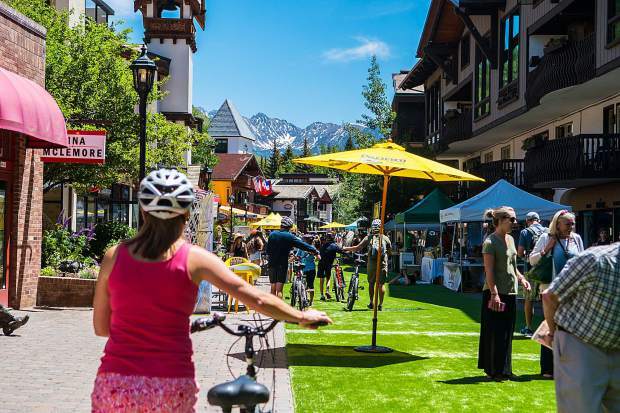 “They came up with the concept of a ride which would include the therapeutic effects of riding a motorcycle — aka, motorcycle therapy — and create an adventure of a lifetime for wounded veterans. At the same time they would film the ride so the message could be shared with as many veterans as possible. “They needed bikes and support, so they contacted Indian Motorcycles, which seemed natural since Dave had fallen in love with his new Indian Chieftain. Dave and Robert told them about the plans and the program. Indian said yes right from the start. Pinkham, like Sitton, had also dreamed of becoming a part of the 10th Mountain Division since he was a child. The 10th Mountain Division was the United States’ first mountain warfare unit, where troopers received specialized training for fighting in cold and mountainous conditions. It was started in nearby Camp Hale in the 1940s to prepare the Army for the alpine combat they would encounter in Italy in World War II. The 10th Mountain Division is now stationed out of the mountains in northern New York state. Pinkham completed two combat tours with the 10th Mountain Division in Iraq, serving in Baghdad from 2006 to 2007 and Tikrit from 2007 to 2008. He returned home with post-traumatic stress disorder, which makes him feel “on guard all the time,” Pinkham told reporter Hector Gonzalez with the Camarillo Acorn before leaving for the Veterans Charity Ride. The motorcycle therapy allowed him to let his guard down a bit, joined by two dozen veteran dealing with the same issues as him. 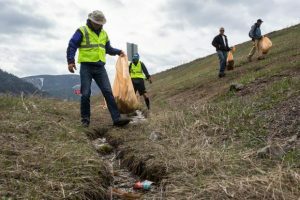 Along the way, he received a warm welcome from communities across the U.S., especially here in Eagle County where people noticed his 10th Mountain patch right away.